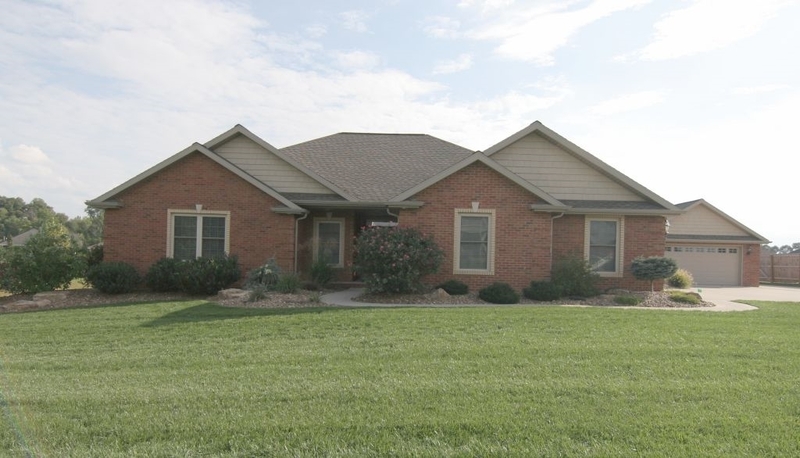 Curb appeal to the max describes this beautiful home in Brookstone Estates. The inviting foyer welcomes you into this 2014 built home. The open floor plan and well appointed kitchen with stainless steel appliances are sure to please. Privacy for everyone with this split ranch featuring 3 bedrooms and 2 full baths. The master bedroom suite features a trey ceiling with crown molding, a walk in tile shower, a double sink vanity and huge walk in closet. Relax outdoors on the deck overlooking the spacious back yard and lush landscaping. In addition to the 2.5 car attached garage, this property also features an over sized one car garage with an office which is heated and cooled.